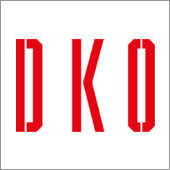 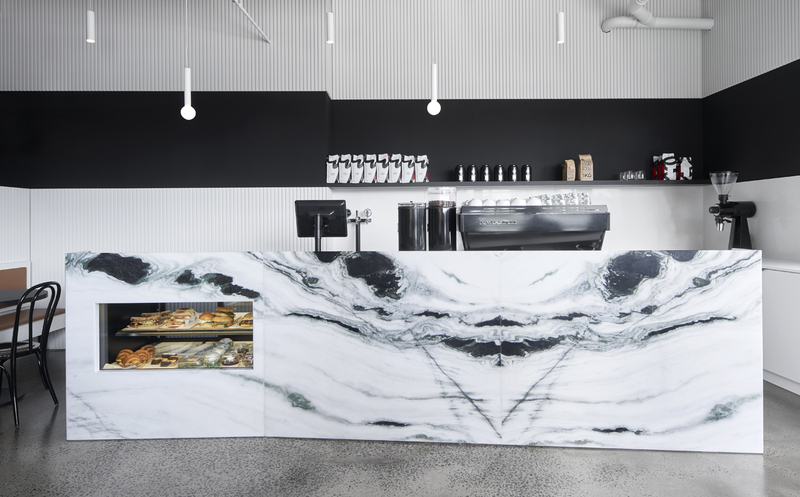 "DKO crafted an interior layout that feels bright and airy within the small retail shell. 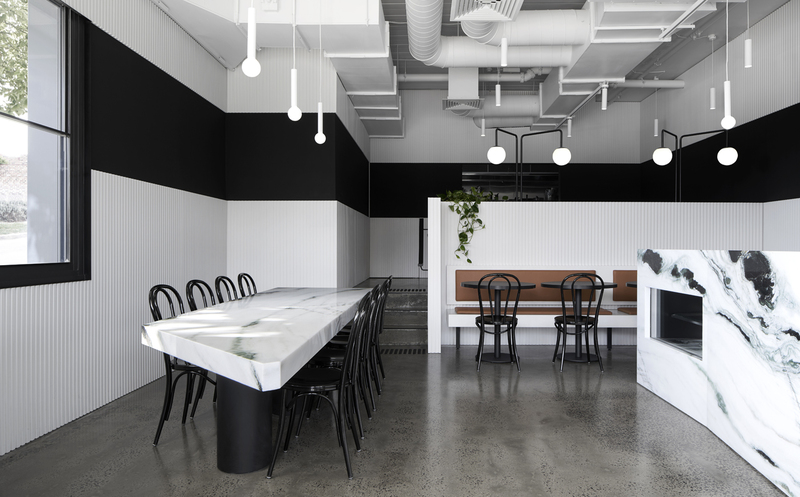 White routed MDF panelling lines the walls of the café with a bold horizon line of matte black. 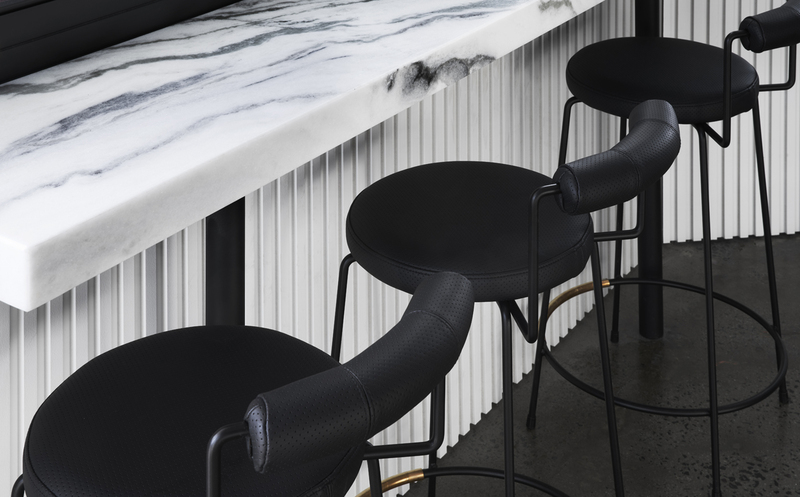 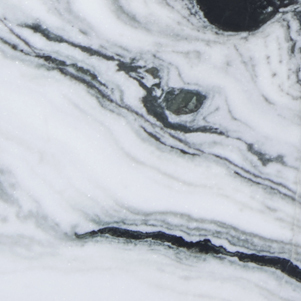 The minimal palette of white and black is complimented by touches of tan leather and patterned marble.